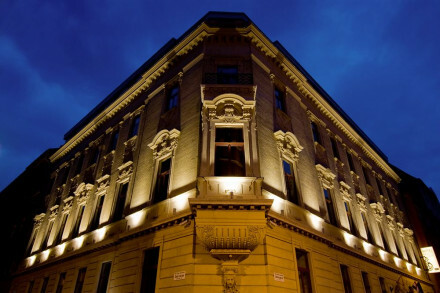 “The Andrassy Hotel is a little gem of a hotel, located in an exclusive Embassy neighbourhood just off Pest's Andrássy Avenue. 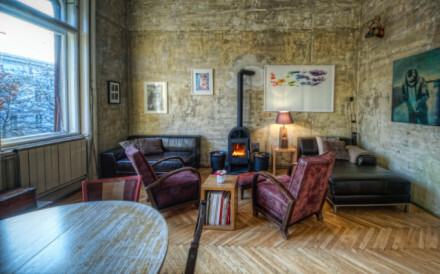 With spacious, beautifully designed rooms and suites, Andrássy Hotel is a unique 5 star gourmet boutique hotel and Hungary's first acceptance to the collection of "Small Luxury Hotels of the World". The Andrássy Hotel was designed and built in a Bauhaus style, by Alfréd Hajós in 1937. 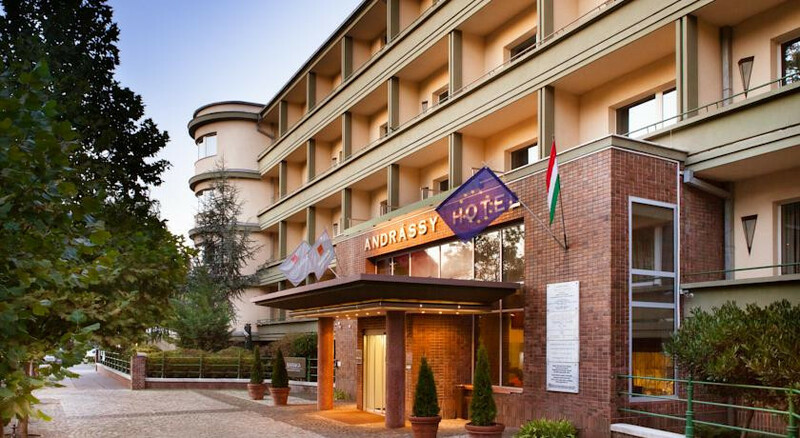 Completely renovated in 2007 the Andrássy Hotel offers genuine and caring services for today's traveller. 62 guest rooms and 7 suites, spacious and warmly decorated in a French Provencial style, featuring air-conditioning, free WIFI, safe, satellite TV and in-room movies, direct-dial-phones, voice-mail, mini-bar, and en-suite bathrooms with bath/shower.Ideally located inside the Andrássy Hotel, the New Baraka Restaurant and Lounge Restaurant offers a uniquely true culinary experience. With the help of the interior designer Gáal Eszter, the Baraka owners have managed to keep it "simple but elegant", while going with an "art deco" style, inspired by the bauhaus architecture of the historical Hotel building. Combined with the terrace garden which wraps sweepingly around the facade, the restaurant offers the perfect combination of settings to serve its inspiring cuisine. Creativity is part of your experience with fresh ingredients and rich flavours, such as different fishes and seafood delights, beef and lamb dishes, and caters to vegetarians as well. Enjoy unique meetings and events, in an environment dedicated to visual and culinary art. In co-operation with the KOGART Function Centre, located opposite the hotel, 1.100 m2 is on offer for unique meetings, incentives, conferences and events. Luxury accommodation is provided in the Andrássy Hotel, while culinary services are offered in the KOGART and BARAKA Restaurants (on property). A chic boutique hotel housed in an elegant Bauhaus style building, in the UNESCO Heritage site of Andrássy Avenue. Located just 300m away from the world-famous Széchenyi Thermal Baths. 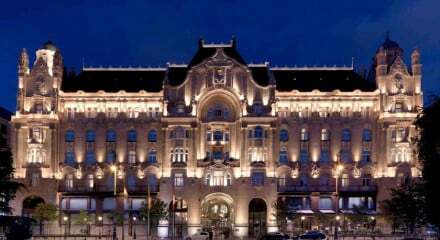 This central hotel is close to many of Budapest's best bars and restaurants. Marvel at the Vajdahhunyad Castle by City Park, just minutes from the hotel. Just three km from the famous shopping boulevard Váci Utca. Visit the many art museums in the nearby Heroes’ Square. "Architecture buffs will drool over the building, which is a rare example of the Bauhaus style in Budapest."